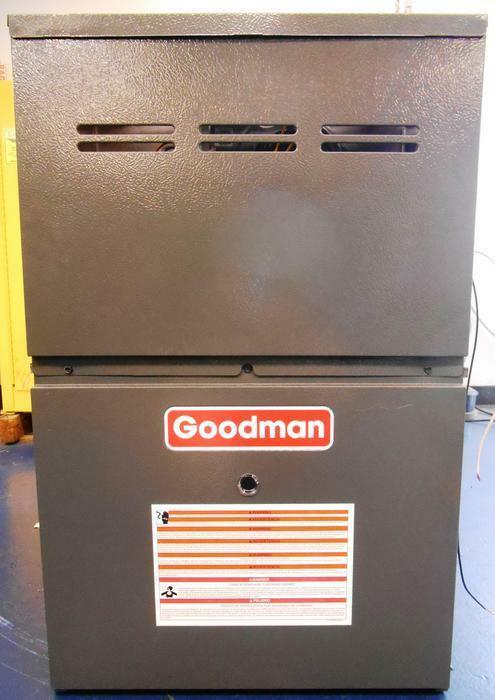 Goodman Manufacturing Company of Houston, Texas, is recalling about 4,100 gas-fired furnaces. The blower motor is not grounded, posing an electrical shock hazard to individuals servicing the units. This recall involves 80% efficiency gas-fired furnaces sold under the Goodman, Amana and Daikin brand names used with home heating and cooling systems. The recalled products have model numbers beginning AMEH80, DM80HE, and GME8, and serial numbers beginning 1609, 1610, 1611 and 1612. The brand name is shown on the outside of the furnace, and the serial number is located on the label found by opening the furnace door. The furnaces, manufactured in the U.S., were sold at Goodman, Amana and Daikin heating and cooling equipment dealers nationwide from September 2016, through January 2017, for between $850 and $1,150. Consumers may contact Goodman toll-free at 888-770-7126 from 7 a.m. to 6 p.m. (CT) Monday through Friday or online at www.goodmanmfg.com and click on “Product Recall” at the bottom right hand corner of the page for more information.